Please try the new system for His Hands Reader mother tongue literacy content. List your Beta test observations here. The new system will make it easy to access the language(s) of your choice and download them to your phone or computer. Each language requires 1.8GB of free space. Android users will need an external SD. Just follow these instructions to load the distribution app on your device. ​Using a simple text editor (like QuickEdit if Android) to modify the device_name in the sync.conf file to be your email address. This is how we will contact you. We will not post your email or give to others. 1) Download Android Resilio Connect Agent app. If the sync.conf file was automatically renamed to during the download then rename it back to sync.conf before CHOOSEing it. 3) Go to settings in the Resilio Connect Agent app and turn ​off "Use mobile data"
5) Download and install the app Open in Firefox from below. This app helps Firefox browse the menu files in the Resilio Connect Agent window. 1) Download Resilio Connect app. 1) Download the appropriate Windows MSI for your OS. 2) Before installing, place the “sync.conf” (see STEP 1 and 2) into the same folder as the downloaded MSI installer (Make sure to pick the MSI suitable for your Windows OS version). Note: Once installed, the Resilio Connect Agent will immediately pick up the config file and attempt to connect to Resilio Server. 2) Open the downloaded “resilio-connect-agent.dmg” package, drag the "Resilio Connect" app to the "Applications" folder and launch from there. Note: On OS X, the Agent runs under the user account and will only launch upon login. Please note that on Linux, files created by Resilio Connect are owned by the user running the “rslagent” process and with its umask. It is unaware of any ACLs applied to your filesystem and will use POSIX.1 permissions. Resilio Connect can be installed on low-profile Linux devices in the same manner, though please refer to this article for limitations applied to low-profile devices. 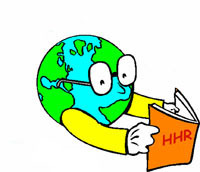 From here you will see a fresh list of all the languages available on the His Hands Reader distribution system. Once you find a language that you want to access on your device go back to the Resilio Connect Agent main window and open the Countries folder. Open the folder for the country that contains the language that you want to access. Press the "i" button to the right of the language folder and press the "sync" button. Your friends who have also chosen to sync that same folder will automatically share with each other. If you are under the same WIFI everyone will benefit with sharing with each other directly without having to use your data plan. Once you find a language that you want to access on your device go back to the Resilio Connect Agent main window and open the Countries folder. Open the folder for the country that contains the language that you want to access and turn on "sync". It's that easy! Now use the Cameroon literacy data and see if it works well for you. Try the playlist feature which plays multiple words in series. Try selecting just the words you want to play. Try just playing the one word that you want. Then an hour later check here to see if the videos that you watched were logged on the His Hands Reader world report!